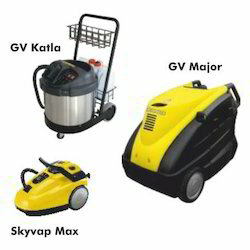 Offering you a complete choice of products which include steam cleaning machine, electric steam cleaning machine, floor steam cleaner, steam cleaners and electric steam cleaning machine ( gv katla). 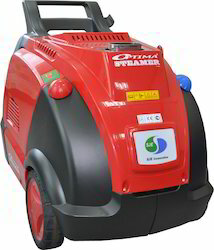 Optima DM Steam Cleaning Machine is equipped with the most heat efficient diesel boiler and generates powerful steam jet. 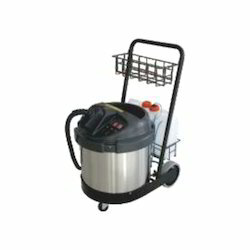 It can be used for car wash, general cleaning, weed removal and more in mobile locations. Direct water line connection enabled by an automatic water refilling system will become handy when a continuous water source (i.e. water tab) is available on your site. Extended Hose Length Over 33’ (1om) of hose length. available up to 65’ (2om). to be cool during an extended use. valves and a dry-run prevention setting on the water pump. 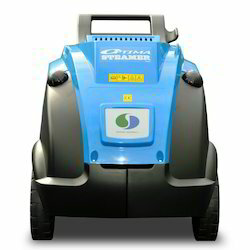 Electric Steam Cleaning Machine-Optima DM Steamer is equipped with the most heat efficient diesel boiler and generates powerful steam jet. It can be used for car wash, general cleaning, weed removal and more in mobile locations. Direct water line connection enabled by an automatic water refilling system will become handy when a continuous water source (i.e. water tab) is available on your site. Steam is hailed as the next generation in Eco Friendly Cleaning. Steam also helps in sanitising the surface and killing odour causing germs and bacteria. As an application, steam is finding its way directly into food and beverage industry as well as hotels and hospitals. Steam delivers excellent cleaning results while saving on precious water resource. 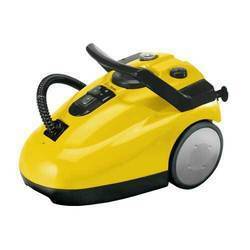 Looking for Steam Cleaners ?